The allocation of vehicle and brake parts for commercial vehicles is not as straightforward as it is for cars – there are various brake specifications for each vehicle type, depending on application. The new product photos, which can also be viewed via TecDoc, can help to avoid incorrect orders and the associated unnecessary costs. In doing so, TMD Friction is reacting directly to market requirements. “So far we have taken fresh shots of around 65 percent of our commercial vehicle products, because our customers want to know what they are getting – before they open the packaging. Customer satisfaction is our highest priority, so we constantly strive to improve our service”, explains Thomas Ahlfeld, Product Manager CV at TMD Friction. Brakebook is the online catalogue developed exclusively for the different branded products from TMD Friction. The service is available to customers at www.brakebook.com or via the free app for Android and iOS. In addition to accurate product information, TMD Friction also offers installation instructions and videos for workshops on its “Professional Website” (www.textar-professional.com). These are now supplemented with a video explaining the specifics of commercial brake maintenance and repair. 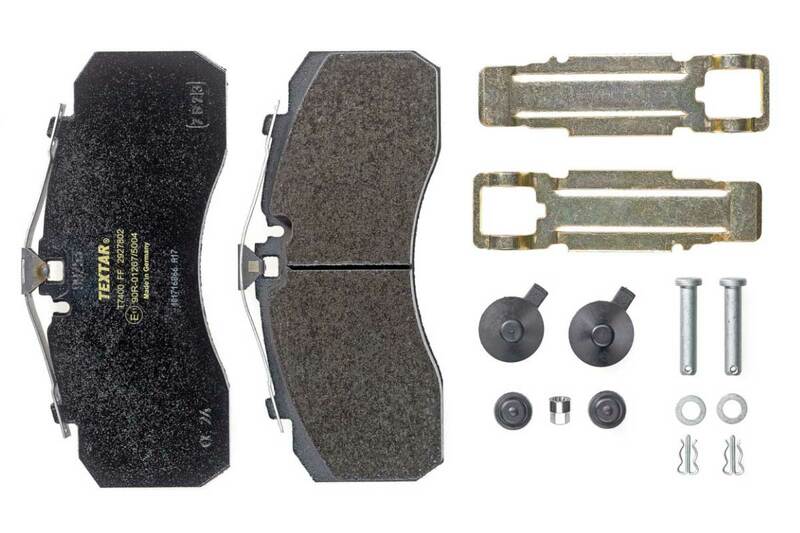 Caption:On Brakebook, Textar now offers its customers detailed photographs of brake pads for commercial vehicles, including accessories.